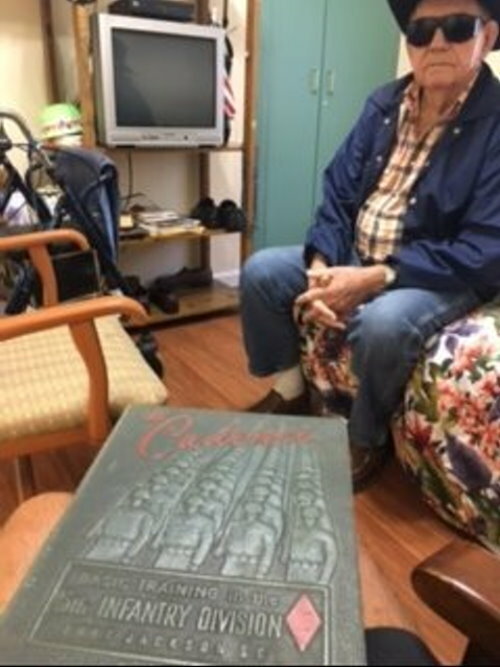 I met with “Bill” for an hour yesterday at Juniper Village Assisted Living. He is a Korean War veteran. This picture is Bill today with a picture of him 60-70 years ago. Crazy. 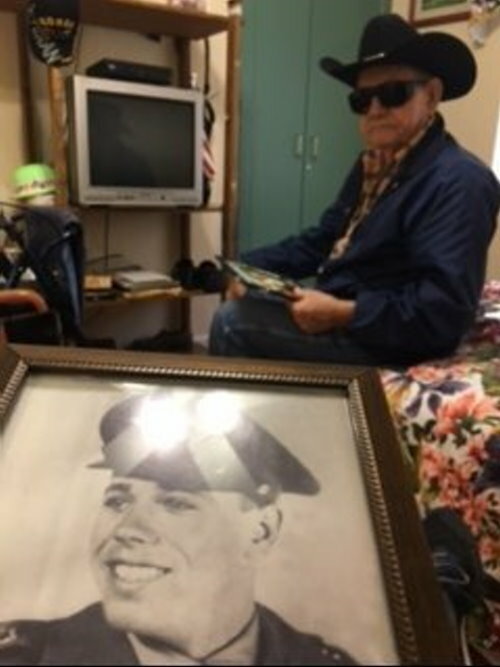 We talked for an hour about service in the 5th Army Infantry Division and his career after the service where he was a truck driver for 30 years. Bill spoke about his family, and it was evident that his wife and family were loved. Bill’s attention span was diminished… but I bet he hadn’t had a one-on-one conversation with another man for an hour for many years. The leather embossed book is off the charts amazing as it covered all the elements of his basic training. A masterpiece of military nostalgia. This Veteran Visiting Veteran program opens up dialogue that could not otherwise happen. Corporal Bill came alive for an hour in his small room with me. Priceless for us both. If you know a veteran who would benefit from a weekly visit by our Veterans Visiting Veterans group, or if you are a Veteran in Naples, Florida who would like to participate with us by visiting a local deserving Veteran once a week, contact us through our website.